Following are the requirements to run web admin properly on your domain. 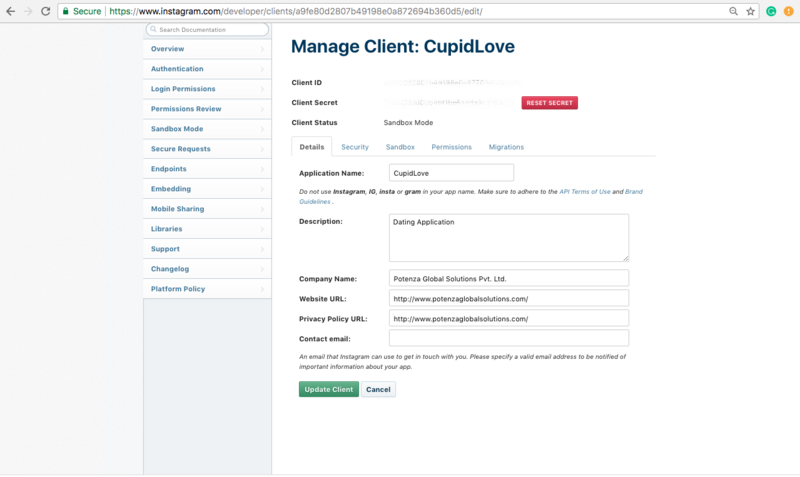 Follow these steps to start using the cupid love web admin application on your domain. Locate the folder where you want to host this application. Paste the ZIP file and Extract it. For the first time you will see the installation process. Step - 1. Database Details. Enter Databse details such as : Host Name, Database Username, User Password and Database Name. Enter Email address and password. This account will be used to access admin panel. Step - 3. General Configuration. 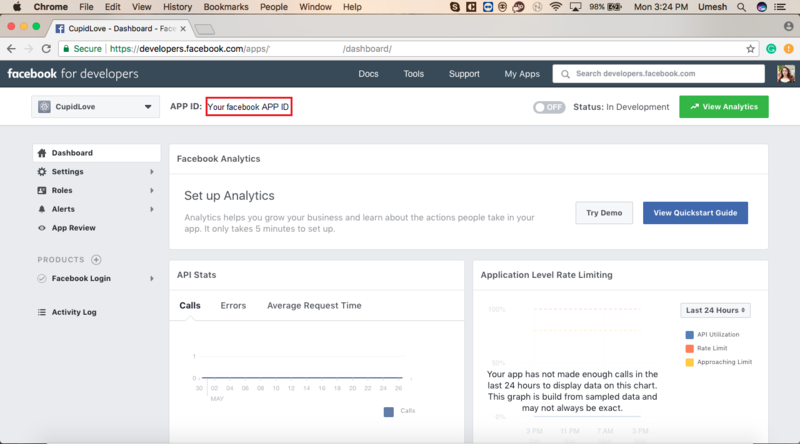 Enter Facebook and Google API key. Step - 4. iOS Setting. Enter XMPP host, XMPP server and XMPP default password. Step - 5. Other Details. Enter Details all details you have. Following are the requirements to run the IOS application. Xcode 8 and newer version. AppleDeveloper a/c (For BundleIdentifier,In-App-Purchase->Identifier from itunesconnect). Your app must use an Explicit App ID, to support Push Notifications. 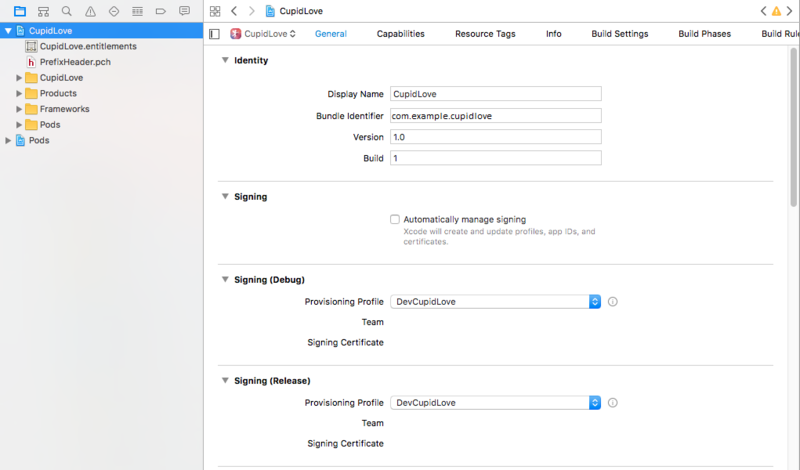 Navigate to the Apple Developer Member Center website, and click on Certificates, Identifiers & Profiles. Select an Identifier from the iOS Apps section. You will see a list of your App IDs. Click on the + button. Enter a name for your new App ID under App ID Description, choose an App Id Prefix, and under App ID Suffix, select Explicit App ID, enter your iOS app’s Bundle ID, it should match the Bundle Identifier in your Xcode project configuration and, add in the Info.plist file. Enable Push Notifications under App Services. Enable other services that your app will need. Click on “Continue”, check that all values entered were correct. Click on “Submit”. Now you’ve created the App ID; you need to configure the App ID for Push Notifications. Select your new App ID and click on “Edit”. Scroll down to the Push Notifications section, click on “Create Certificate” under “Development SSL Certificate”. Follow instructions on the next screen to create a Certificate Signing Request (CSR) using the Keychain Access utility on your Mac; this is needed to authenticate the creation of the SSL certificate. Upload the CSR to Apple’s servers, and then click on “Generate”. Add the certificate to your login keychain. Open the Keychain Access utility. Locate the certificate under “My Certificates”. It should be called “Apple Development Push Services”. Right-click on it, select “Export”, and save it as a .p12 file. Do not enter an export password when prompted! You will need to repeat the process to make the Production SSL Certificate. Now we need to configure the Xcode project. Go to your project’s Capabilities page, then turn On Push Notifications. If any issues require your attention, Xcode will let you know. Go to the General page. Modify the Bundle Identifier to match your App ID’s Bundle Identifier. Now we will set up our iOS to Make it communicate with our XMPP Server. 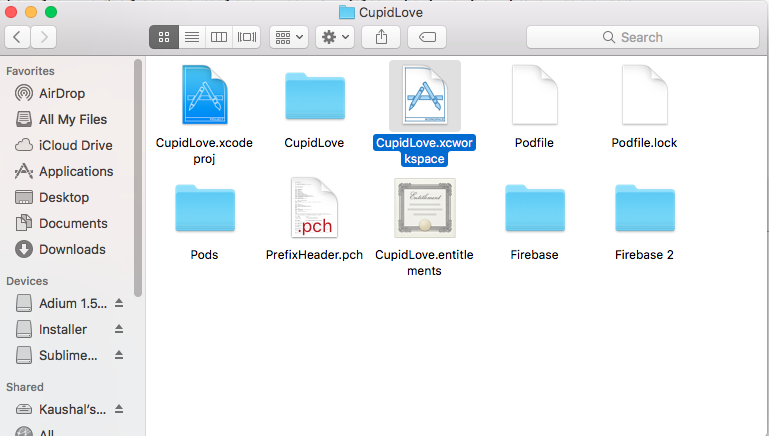 Click on CupidLove.xcworkspace and open it. Wait for Xcode to load set up all files and dependencies. NOTE: Now we have to refresh pods to avoid error. 1. Open your "Terminal" and Install cocoa pods using this command $sudo gem install cocoa pods It can take several minutes so be patient. 3. Click here for further information. Once finished your App is now ready to compile in real device or iOS Simulator. You can change app detail from PrefixHeader.pch file. See the image to how to change app detail like Appurl, image URL, etc. Then add In-app purchase to your app. Select any one In-app purchase that you want for your app. Enter price value, start date and end date for your app. 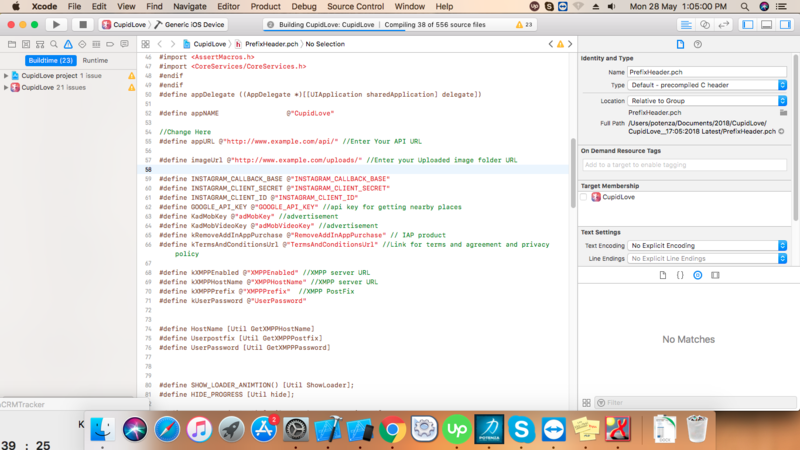 Then save and generate product id, apple id, etc. 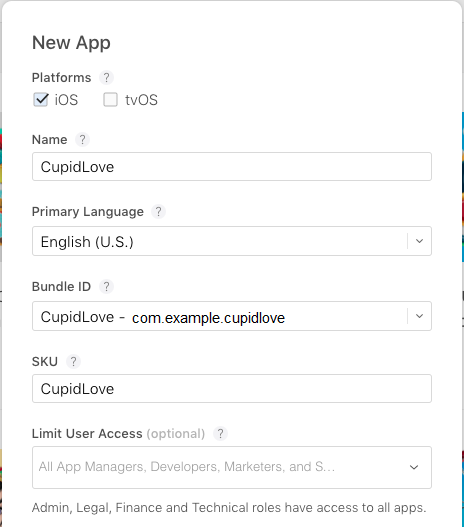 Go to CupidLove admin panel, select CONFIGURATION from the left menu and enter your In-App Purchase Id in RemoveAddInAppPurchase. After creating the new app, Now go to Dashboard click Set Up On Facebook Login and get Facebook APP ID. Copy and paste your Facebook App ID in info.plist file and also copy in URL Schemes item 0 with prefix 'fb'. Go to CupidLove admin panel, select CONFIGURATION from the left menu and enter your FACEBOOK API KEY. 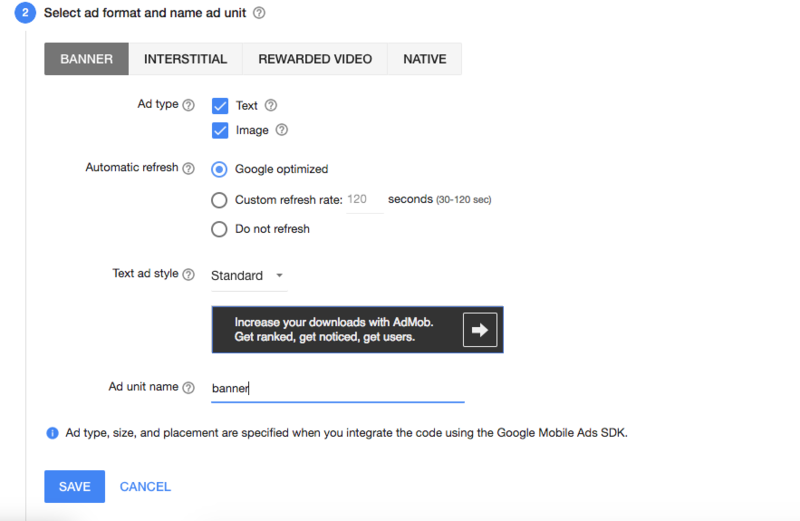 Login to google developers console and follow these steps to create API key. Select the project or create the new project. Go to credentials and create the credential for API key. Restrict key to iOS app. Go to Dashboard and Click on enable API. Select Google Places API for iOS. Go to CupidLove admin panel, select CONFIGURATION from the left menu and enter your GOOGLE PLACE API KEY. 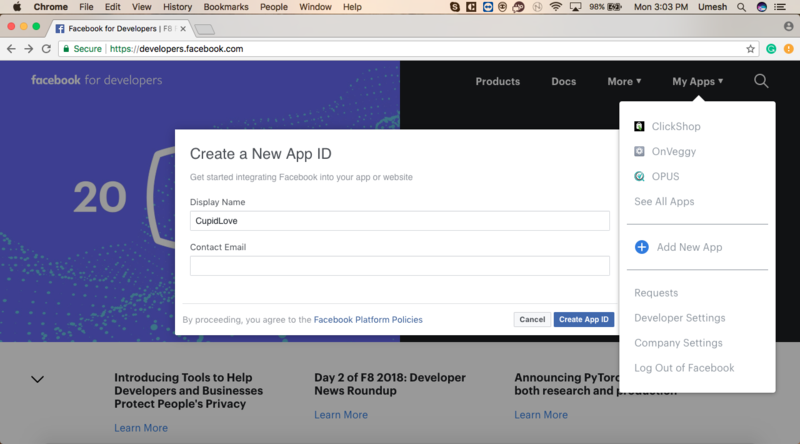 Login to https://apps.admob.com/ and these steps to create Ad unit Ids. Go to MONETIZE tab and click on MONETIZE NEW APP. Add your app and select platform iOS. 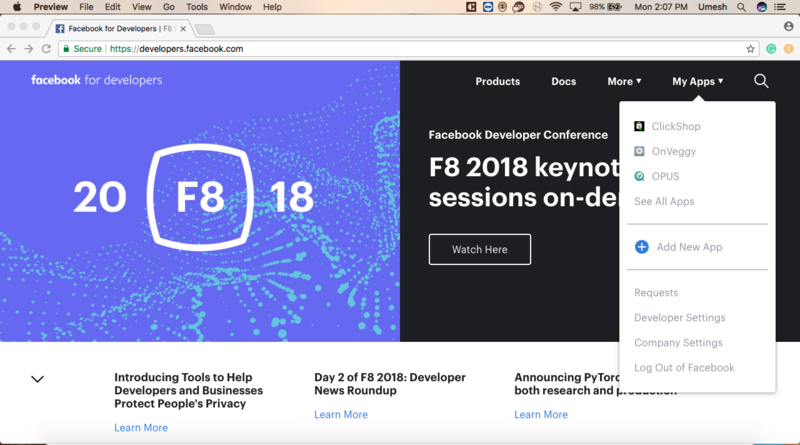 Select ad format banner and name ad unit. 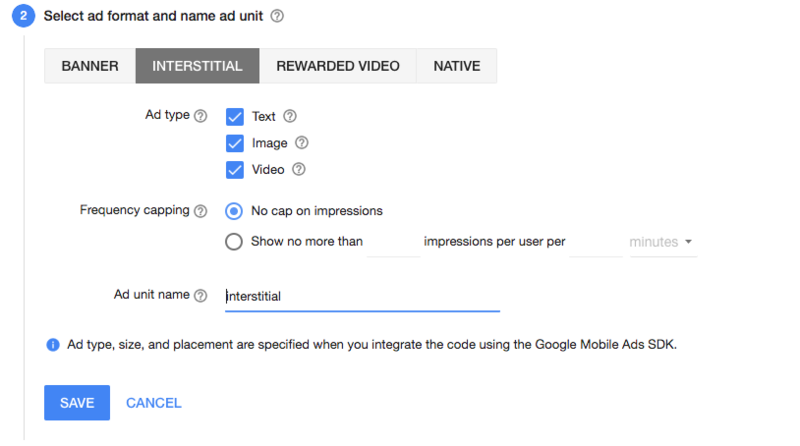 Select ad format Interstitial and name ad unit. Go to CupidLove admin panel, select CONFIGURATION from the left menu and enter your adMobKey and adMobVideoKey. Now we are going to setup Multiple Language Support in iOS app. Currently four language's are added (English, French, Russian, Arabic). You can add another language also as per Requirements But need to make necessary changes to Admin and WebApp.You can Follow steps in given Video to add new Language in iOS app. 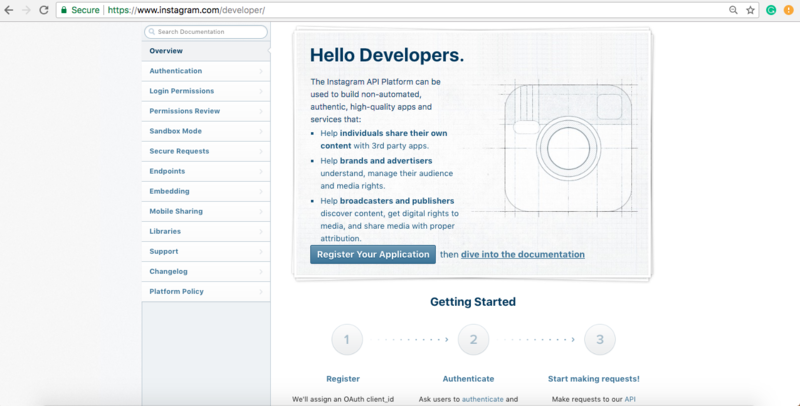 Go to https://www.instagram.com/developer/ and follow instructions to Register your application on Instagram. Now click on Register Your Application. 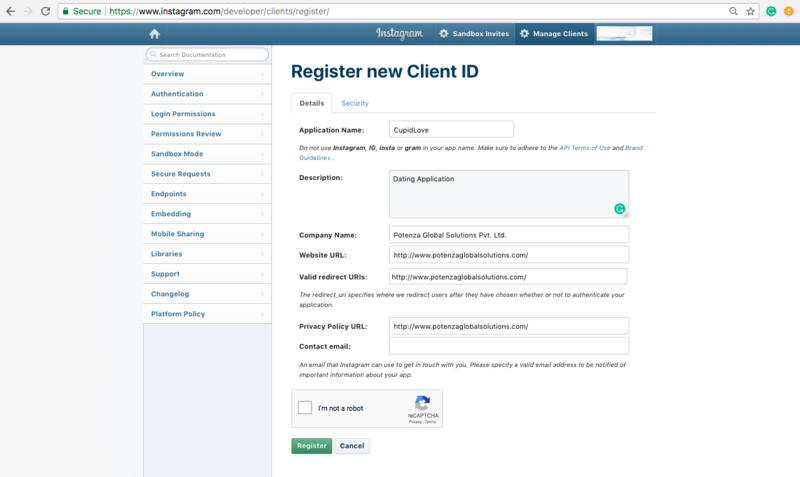 Click Register a New Client to register your application on INSTAGRAM. After register new application, you will get your application CLIENT ID and Client Secret. Go to CupidLove admin panel, select CONFIGURATION from the left menu and enter your INSTAGRAM CLIENT SECRET, and INSTAGRAM CLIENT ID. .You can Follow steps in given Video to add your Insta Client ID and Client secret. To make it easy for you to use our form builder we have made some videos to get you through the process of setup. Once again, thank you so much for purchasing this application. As we said at the beginning, We'd be glad to help you if you have any questions related to this form builder. No guarantees, but we'll do our best to assist. If you have a more general question related to the application on C odecanyon, you might consider visiting the forums in the "Item Discussion" section.